Pancreatitis is inflammation in the pancreas. 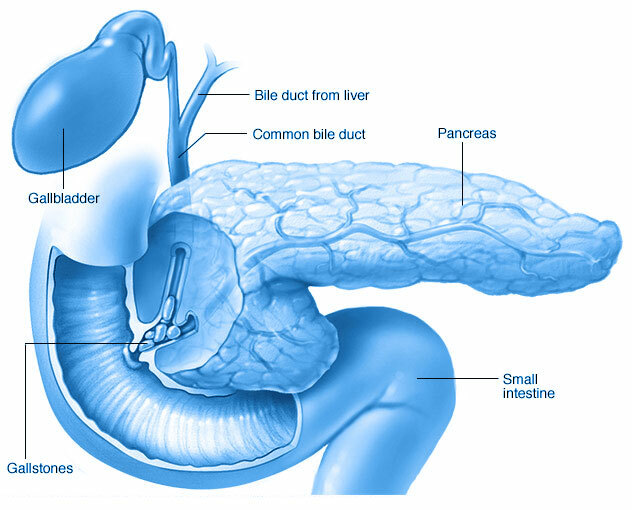 The pancreas is a long, flat gland that sits tucked behind the stomach in the upper abdomen. The pancreas produces enzymes that help digestion and hormones that help regulate the way your body processes sugar (glucose). Pancreatitis can occur as acute pancreatitis — meaning it appears suddenly and lasts for days. Or pancreatitis can occur as chronic pancreatitis, which is pancreatitis that occurs over many years. Signs and symptoms of pancreatitis may vary, depending on which type you experience. Pancreatitis occurs when digestive enzymes become activated while still in the pancreas, irritating the cells of your pancreas and causing inflammation. With repeated bouts of acute pancreatitis, damage to the pancreas can occur and lead to chronic pancreatitis. Scar tissue may form in the pancreas, causing loss of function. A poorly functioning pancreas can cause digestion problems and diabetes. Endoscopic retrograde cholangiopancreatography (ERCP), a procedure used to treat gallstones, also can lead to pancreatitis. Sometimes, a cause for pancreatitis is never found. Pseudo cyst acute pancreatitis can cause fluid and debris to collect in cyst like pockets in your pancreas. A large pseudo cyst that ruptures can cause complications such as internal bleeding and infection. kidney failure is severe and persistent. Make an appointment with your doctor if you have persistent abdominal pain. Seek immediate medical help if your abdominal pain is so severe that you can’t sit still or find a position that makes you more comfortable.